CRAIG BATTLE was the editor of OWL Magazine from 2006 to 2012. He now works as an editor at Sportsnet magazine. He has worked as a reporter, camp counselor, and basketball coach, and now adds children's author to his resume. Originally from Lantzville, BC, he lives in Toronto. RAMÓN PÉREZ has illustrated for Marvel, DC Comics, and OWL Magazine. He lives in Toronto. The fourth volume in this award-winning graphic novel series contains ten mystery comics by OWL Magazine editor Craig Battle, plus three never-before-published short mystery stories by series creator Liam O’Donnell. As always, storylines are intriguing, age-appropriate, and relevant; illustrations are detailed and compelling; and dialogue is snappy. 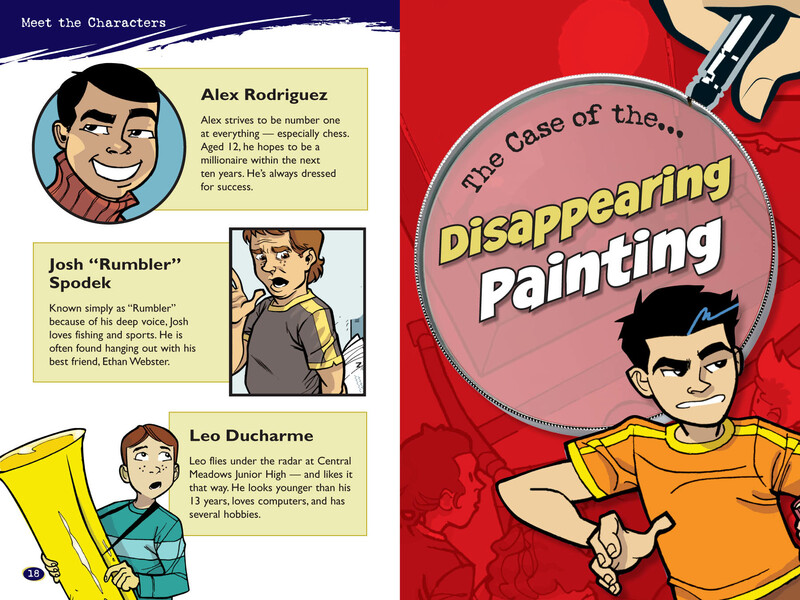 Each solve-it-yourself comic stars amateur detective Max Finder and his best friend, budding journalist Alison Santos. Seventh graders at Central Meadows Junior High, these two intrepid investigators must call upon their skills to crack each case before them. Cases in this volume include "The Case of the Disappearing Painting," "The Case of the Mall Mayhem," and "The Case of the Rotton Rumor." Clues appear in words and images, so readers must develop their eye for detail in order to solve the mysteries. 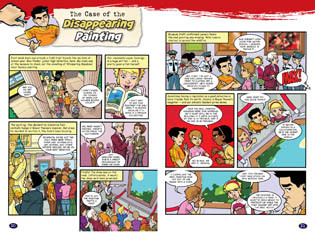 Solutions appear at the end of each comic, explaining whodunit and why, and the clues that cracked the case. Bonus content unique to this volume includes illustrated character profiles and a roundtable with the creative team behind the comics. Crammed with clues and stuffed with enough suspects and red herrings to keep readers guessing until the very last panel, Max Finder Mystery Volume 4 promises to engage pre-teens with hours of whodunit fun.